This day of the dead ring was among the more nerve-wracking commissions I’ve done. 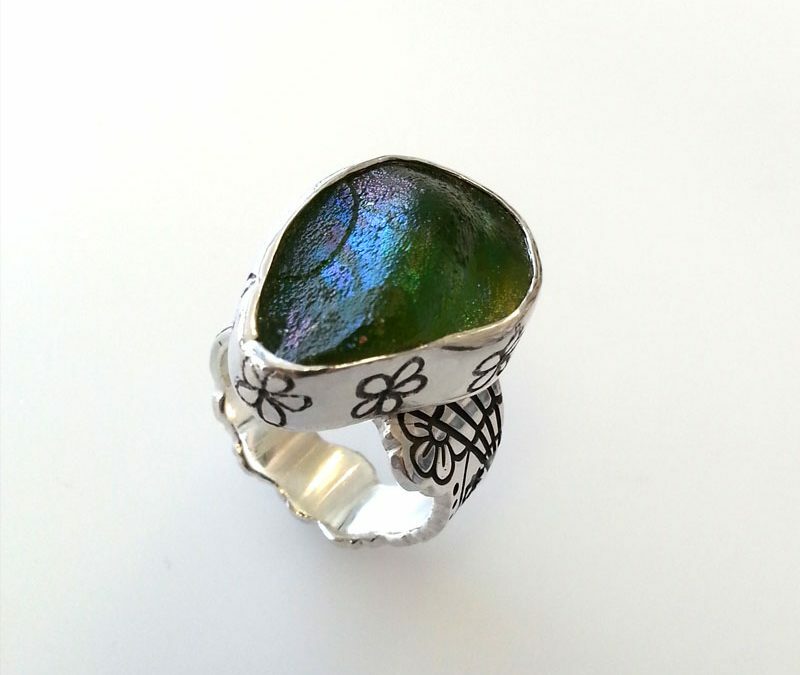 The 2,000 year old glass was supplied to me in a pendant setting, and was to be reused and set into a sterling silver ring. With such a precious, irreplaceable “stone” a decision was made to leave it in its original setting, and set that into the ring setting – A double-setting where one is hidden inside the other. That way, it reduced the chances of stressing the glass and increased the protection around it. Despite studying the various forms of DoD designs online, designing the pattern for the ring was more challenging than we thought it might be. Drawing larger than life designs can lead to trouble when you realise you have to reduce the pattern down to fit 4-5mm of ring shank. We had to leave enough pattern (spider’s web) at the top of each shank end to allow for sizing flexibility before soldering the setting on. Laser cut sheet. Note the spare design. Next up was soldering the setting to the shank. 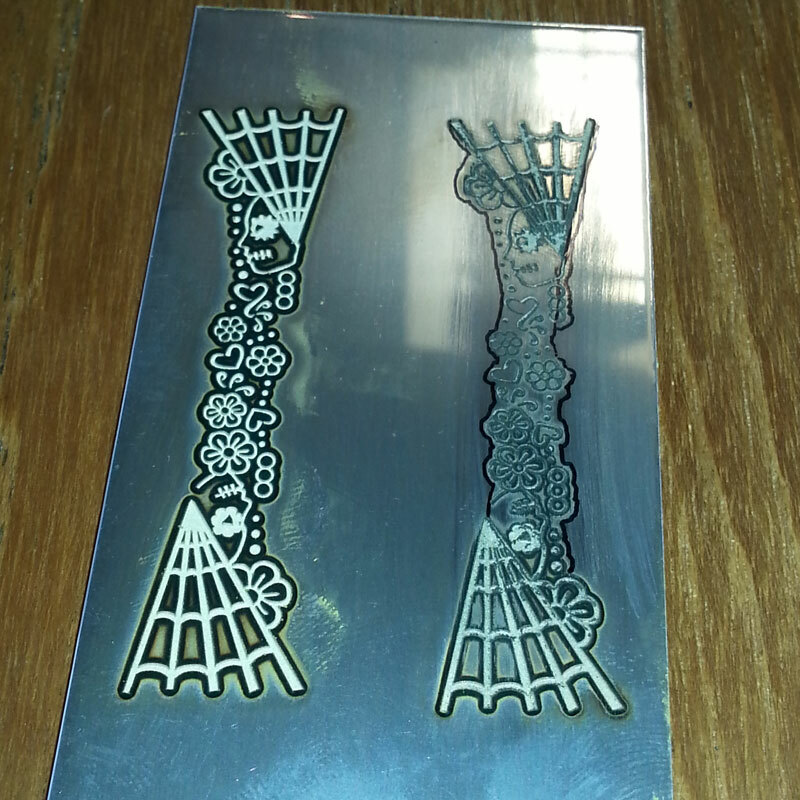 In the end, the spare laser cut shank was never used as the first one worked out perfectly. The silver used was 1.5mm sterling sheet – making for a nice substantial feeling ring, and matching well with the weight of the glass. 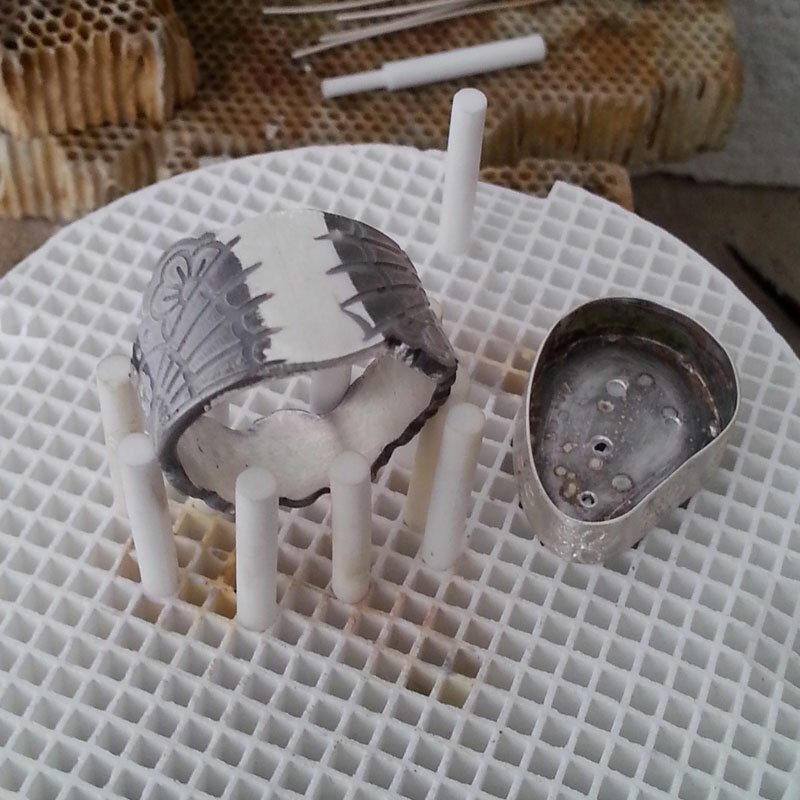 Ready for solding the setting to the shank. It will get a final polish and the setting begins! 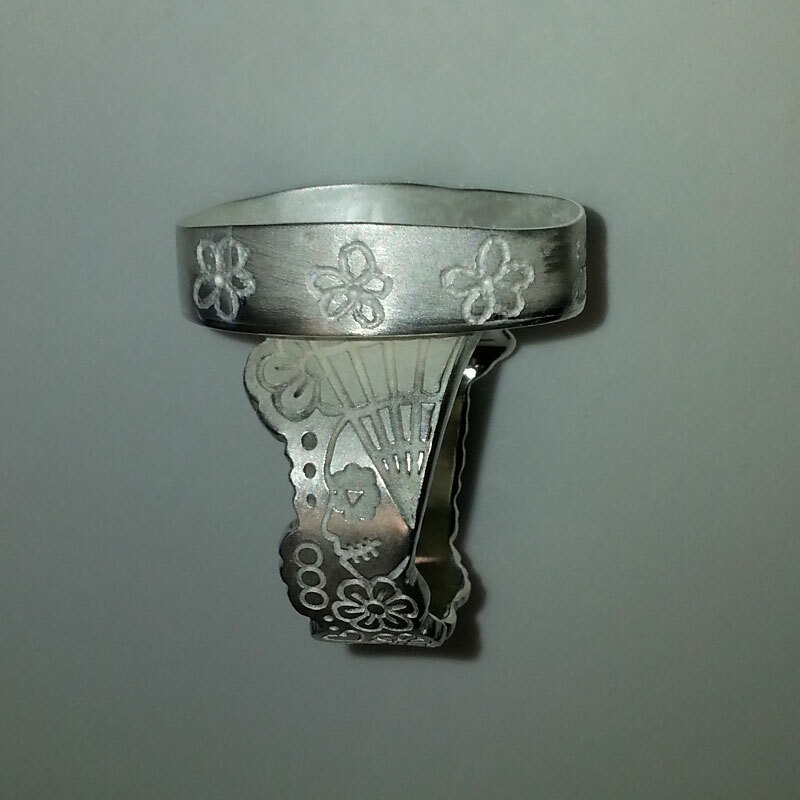 The ring was then polished and coloured to fill the etching – making the design “pop” as they fondly say on Tattoo Rescues. The final leg-shaking step was setting the 2,000 year old green roman glass! 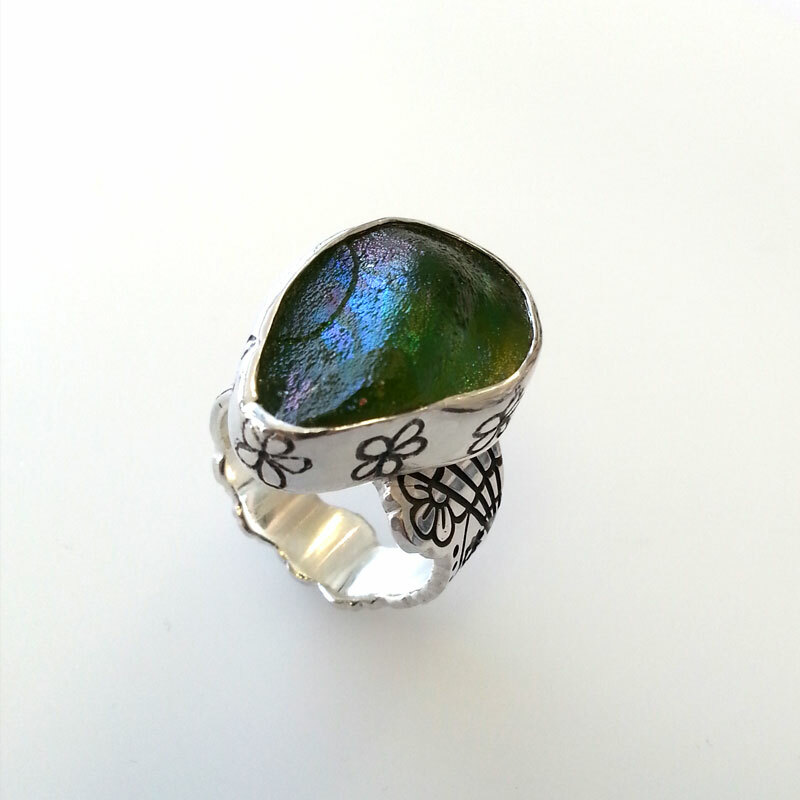 This lovely customer was thrilled with her ring and has offered to talk to anyone about her commission experience. 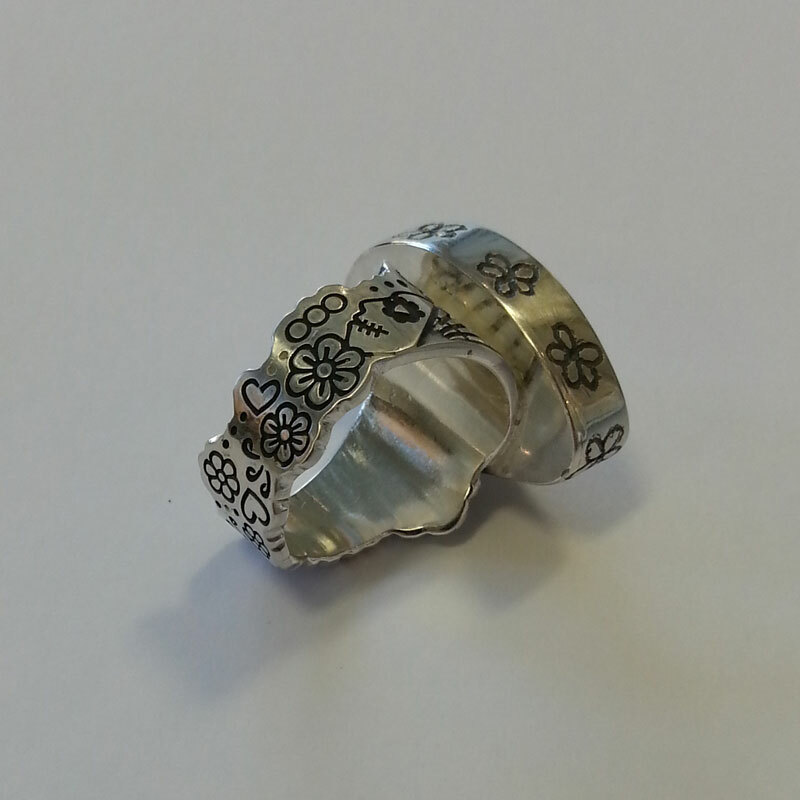 Helen, we hope you enjoy your ring for years to come – it was a pleasure working with you.